The superpowers of Sedona never disappoint. Megan and Alex sure don't either. These two wanted an intimate wedding to celebrate with those closest to them in a place that reflected their love of the outdoors and exploration. After the wedding ceremony , they gave me free reign to make amazing images with them and this incredible place. We even headed over to L'Auberge where they were staying and had some fun over there too. The results look as tasty as the amazing baked goods I see Alex whip up over on Instagram. 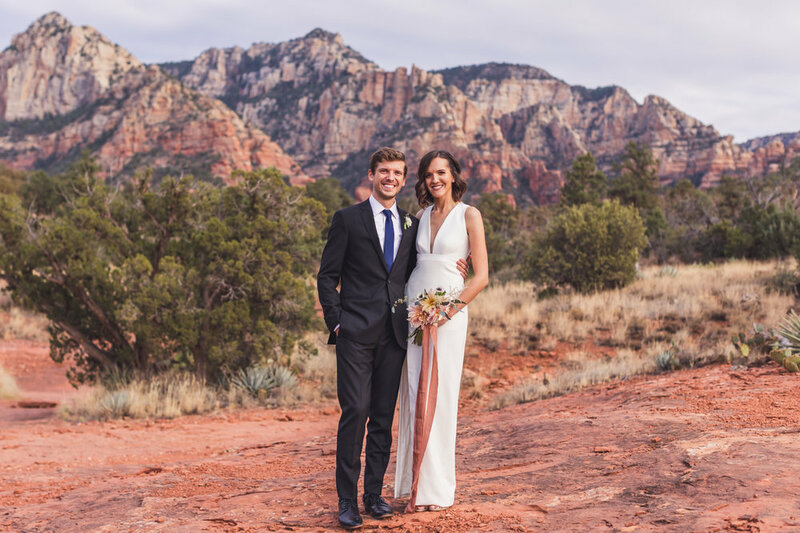 Here is visual proof that an intimate Sedona wedding and Alex and Megan make a winning combo. Getting married in Sedona? Send me a note and let's talk about your wedding photography. Getting married somewhere else? Send me a note. It's all good to me. Let me come to you and we'll make amazing images together.